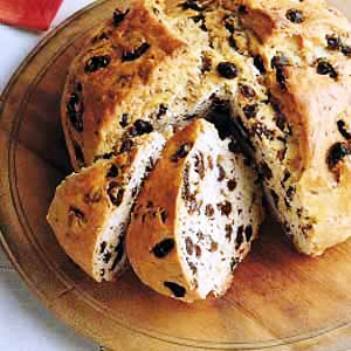 This traditional Irish dish is the centerpiece for many a St. Patrick’s Day table. 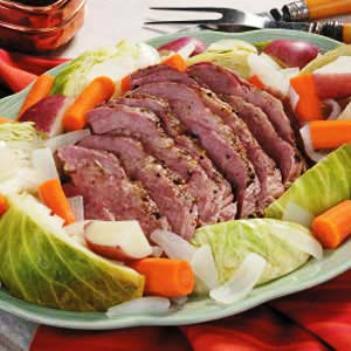 Pre-seasoned corned beef – available at most grocery stores – takes a long, lovely simmer with potatoes, carrots and cabbage for a hearty and satisfying dish. 1. Preheat oven to 325 degrees F (165 degrees C). Grease a 9×5 inch loaf pan. 2. Combine flour, baking powder, sugar, salt and baking soda. Blend egg and buttermilk together, and add all at once to the flour mixture. Mix just until moistened. Stir in butter. Pour into prepared pan. 3. Bake for 65 to 70 minutes, or until a toothpick inserted in the bread comes out clean. Cool on a wire rack. Wrap in foil for several hours, or overnight, for best flavor. previous post: Happy St. Patrick’s Day! Erin Go Bragh!